The Aosta Valley is a tiny alpine region that is also the tallest in Europe and home to Mont Blanc, Gran Paradiso and Monte Rosa. Arranged along the dramatic Dora Baltea river with 13 subsidiary river valleys, which have collectively carved out some of the region’s glacial landscape, this is a spectacularand heavily protected area. Our Gurus can’t usually resist a spectacular view, so many of their recommendations for the best places to stay in the Aosta Valley have views nothing less than divine. If the view from your hotel isn’t a huge priority then they also have some great ski chalets, some excellent value guesthouses, small hotels and some luxurious, pampering havens of relaxation on their list. There is amazing hiking and climbing in the Aosta Valley - especially in the two national parks, the Gran Paradiso National Park and the Mont Avic Natural Park - and several spectacular ski resorts. It may surprise you to hear that there are also some impressive Roman monuments, a number of notable Romanesque churches and several beautiful medieval castles. Courmayeur is situated just through the Mont Blanc tunnel from Chamonix and is renowned for excellent mountain restaurants and sunny slopes, plus a buzzy town centre. La Thuile is quieter, which also means less crowded pistes, though not so much if it's apres-ski you're after. Champoluc is the largest resort in the Monterosa region and boasts a huge range of pistes (it's often referred to as Italy's Three Valleys) and fabulous off piste terrain. The Aosta valley is also a wine growing region and the local Gamay is definitely worth a try - it goes down very well sipped in front of a fire after a long day exploring this divine terrain! Visit the grand restored Castello di Fénis (castle). Come for hiking holidays with endless trails to be explored. Ski in any one of the high altitude resorts boasting excellent snow conditions. Wander through the Alpine botanical garden in The Gran Paradiso National Park. 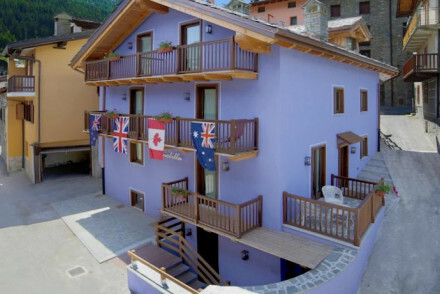 Don't leave it to the last minute if you want to be sure of a bed in one of the best places to stay in the Aosta Valley. These places get very busy both in winter and summer. 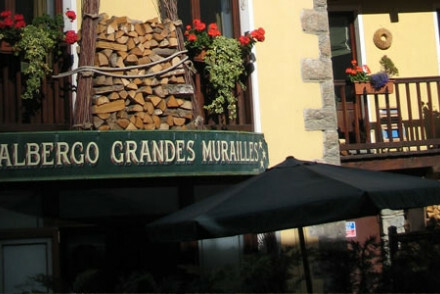 The Hotel La Granges in Entrèves is very close to Mont Blanc with easy access to the alps. It has 12 simple rooms with antique furnishings and a restaurant specialising in local cuisine. 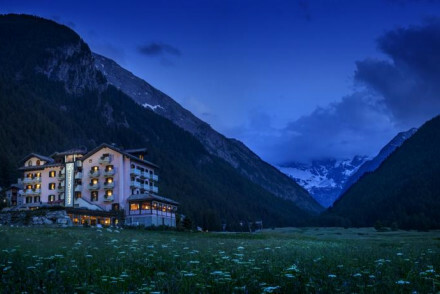 The Bellevue Hotel and Spa is just inside the Gran Paradiso National Park and has stunning alpine views, a state of the art spa and a Michelin starred restaurant. The decor is alpine, using a lot of local materials, there’s some lovely panelling and sumptuous copper baths. 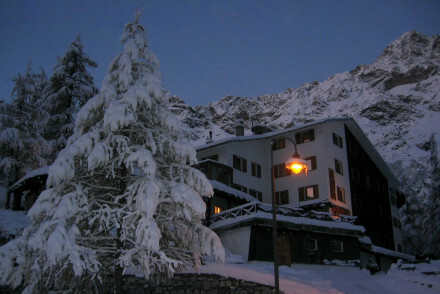 The Hostellerie de Mascognaz in Champoluc is a collection of eight chalet guestrooms converted from barns. They have many nice original features and, of course, now very comfortable with antiques and stylish decor. There is an indoor pool, Turkish bath, indoor golf and a choice of two restaurants. They also offer yoga classes and Ayurvedic massage. 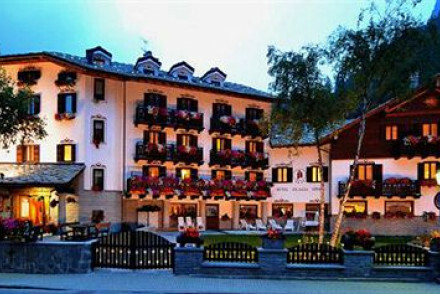 Locanda La Brenva in Courmayeur is a wonderful alpine property with amazing mountain views and lots of nice features. The food is regional and very good and there is easy access to everything the mountains have to offer. The Auberge de la Maison is a chic, sloping roofed chalet in a hamlet just outside Courmayeur with stunning 360 degree views. Its quiet location makes it a great destination for birdwatching. 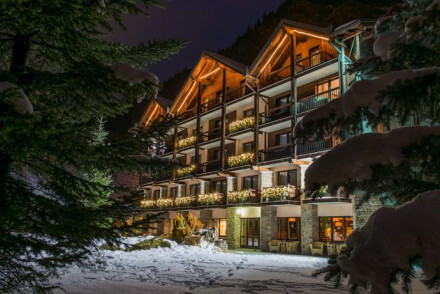 Nira Montana in La Thuile is a luxurious 55 room chalet hotel with wonderful decor which gives a very woody, forest effect. 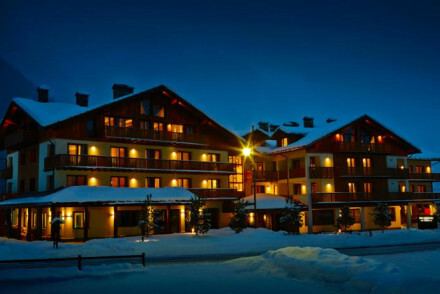 Just 400m from the lifts there is a superb spa, sauna, steam baths and indoor pool. La Meridiana du Cadran Solaire in Aosta is a great place for an active break come winter or summer. 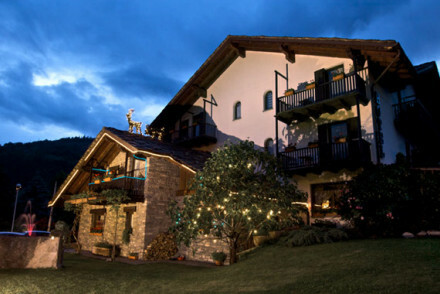 There are 17 alpine-style rooms plus a spa and a restaurant serving traditional cuisine. You are just minutes from the slopes and walking trails. The Hotel Jolanda Sport is a rather charming ski hotel with 32 wood panelled rooms with colourful furnishings and beamed ceilings. There is an indoor pool, a spa and sauna, plus an excellent restaurant. It is very family friendly. Plus you're right beside the Punta Jolanda chairlift. 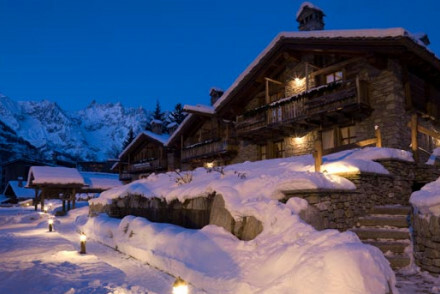 If you're looking for a traditional ski chalet, one with great fur rugs, exposed beams and giant roaring fires, try Courmayeur’s Au Coeur des Neiges. As well as rooms in a rather large chalet, there are also smaller chalets - so it's like a chalet community. This is perfect for families as the chalets are like home from home. The spa and restaurant both have excellent reputations and you're only two minutes from the cable car. Milleluci is a rustic mountain retreat with 31 rooms - some with fireplaces and four-poster beds - plus an excellent spa and pool and a restaurant serving regional cuisine. 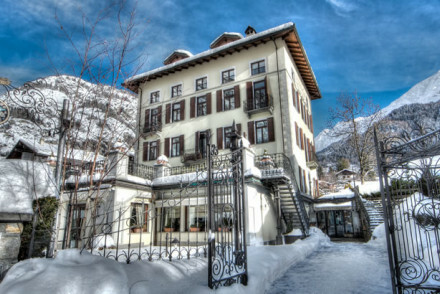 Villa Novecento in Courmayeur is a good choice if you're looking for somewhere with atmosphere. This charming villa looks glamorous from the outside and has a rustic elegance on the inside. Think oil paintings, Baroque decorations, and heavy fabrics in chintzy patterns. Maison Colombot is a charming little guest house in the centre of Aosta with six cosy, alpine-feeling rooms with little balconies. There is a lovely terrace and it’s very family friendly. Rooms start from around £45 per night. 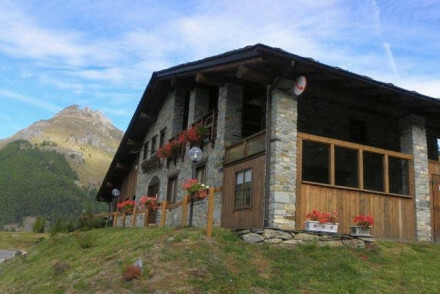 The Albergo Grandes Murailles in Valtournenche is a cosy chalet with 15 rooms and suites. They are decorated with antiques and have exposed beams and fireplaces, but you can still expect all the mod. cons.. There is a hammam and you are right by the lifts. Rooms start from around £70 per night. Fly to either Geneva, Milan or Turin. By train, there are services to and from the Turin stations of Porta Nuova and Porta Susa with frequent trains. Best time to visit - for hiking travel between July and the first week of September and for skiing prime season is February and March. Browse through our list of all the best places to stay in the Aosta Valley. Widen your search and look at all our recommendations in neighbouring Alpine destinations Zermatt or Chamonix. A charming little guest house in the town centre. Warm and cosy rooms have wooden panelling, colourful fabrics, and little balconies. Breakfast room, terrace, and lots to explore in the surrounds. Excellent value and family friendly. 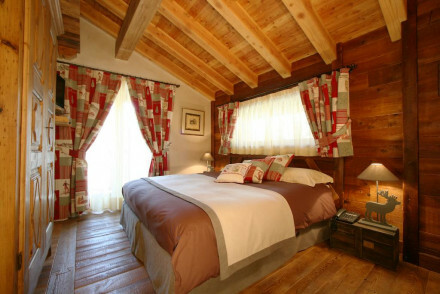 A traditional cosy chalet in the Aosta Valley. 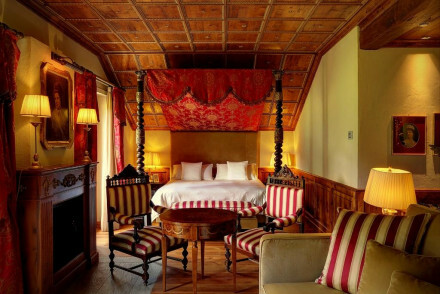 Antique-style furniture in rooms and suites, with all the mod-cons and exposed wooden beams. Hammam, massages and fireplaces to relax next to. Close to ski lifts. A great choice for families or a romantic break in the mountains. Active Holiday - In perfect position to enjoy mountain sports all year round. A very cute hotel with basic rooms but fantastic views over the valley below. A range of accommodation caters to families, couples and friends. Sauna and steam room too. Really excellent value, both in summer and winter. 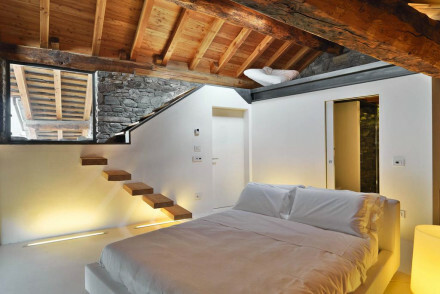 A stylish boutique hotel in the heart of the Aosta Valley. Rooms are rustic-chic with exposed stone walls, warm lighting and memory foam mattresses. A small spa will ease any aches and pains after a day spent in the mountains. Ideal for hikers, skiers and nature lovers. 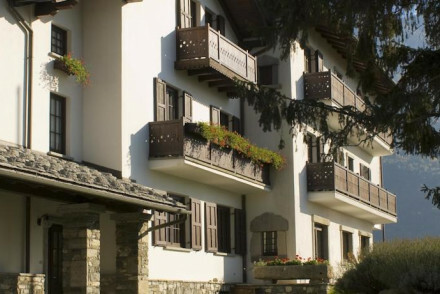 Skiing - Discover the expansive resort of Pila, only 8km from the property. Active Holiday - The surrounding Alps offer a plethora of outdoor pursuits. 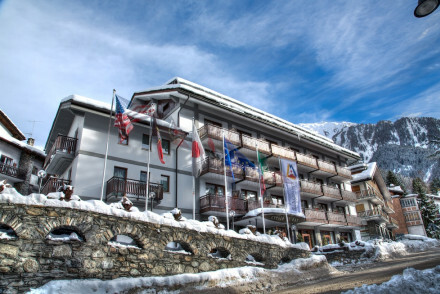 A traditional Alpine hotel set amid the meadows of the Aosta Valley. 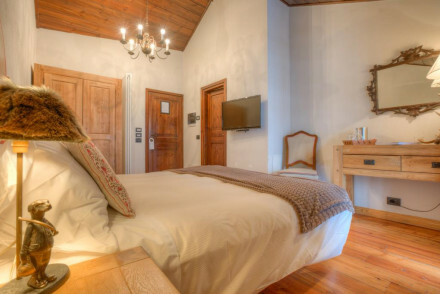 Rustic rooms feature antique wooden furniture, parquet flooring and floral bedspreads. There is a restaurant with an extensive wine cellar and an indulgent spa boasting an ice bath, gym, whirlpool tub, sauna and Turkish bath. Spa breaks - The spa includes an ice bath, whirlpool tub, Turkish bath, gym, Finnish sauna and a range of massage treatments. Skiing - Cervinia has Italy's longest ski season and offers runs for all abilities. Active Holiday - The surrounding mountains offer a host of outdoor pursuits. A traditional rural property packed full of charm. Simple rooms feature antique furniture and fabrics featuring winter motifs. An atmospheric restaurant serves excellent regional cuisine. With easy access to the Alps this is the perfect base for an active holiday. Active Holiday - The surrounding mountains offer an extensive range of outdoor activities. A contemporary hotel with an excellent Italian restaurant and spa. More family friendly, and less sophisticated, than its sister hotel Novocento. Rooms and family suites are light and airy with pine floors and cream walls. Great value. A sophisticated Patrician villa with classical refined interiors, an excellent spa, and restaurant. Classy rooms and suites have elegant furniture, oil paintings, Baroque decoration and private balconies. Smart, traditional and grown up. 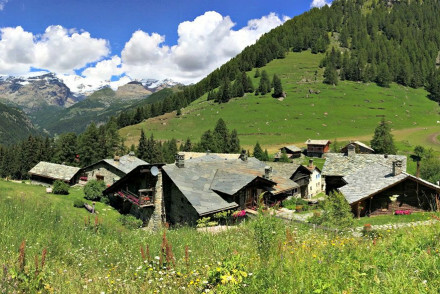 A cosy Alpine homestead at the foot of the Gran Paradiso National Park. Warm and rustic rooms are decorated with wooden furniture and artworks. Boasting a picturesque garden, large sunny terrace and hearty breakfasts are served in a fire lit dining room. A charming spot to explore the region from. Active Holiday - Whether you're skiing down Alpine slopes or rafting down the Dora Baltea river, there's plenty to do in the region. Chic and elegant chalet in a small hamlet with fantastic mountain views. Rooms and one suite in creams with oak floors and fireplaces. Cosy restaurant and excellent spa. A great choice for an all year round mountain holiday. 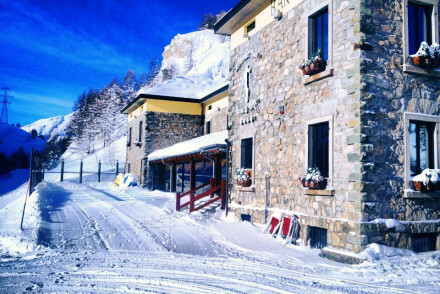 A cosy hotel in the Aosta Valley. Rooms are Alpine chic with panelled wood and antique furniture. Spa and traditional cuisine from the kitchen. Minutes from the slopes and walking routes. A characterful spot for an active holiday all year round. A charming alpine property boasting lovely mountain views. Characterful rooms are traditional in style with pine furniture, exposed beams and parquet flooring. Superb contemporary regional cuisine is served in the cosy restaurant. Easy access to activities in the surround mountains. Alpine bliss. Skiing - Just a short walk from the Val Veny cable cars and Mont Blanc cable car for cross-country skiers. Active Holiday - Easy access to numerous alpine activities. Sights nearby - Visit the the bell tower, the church of Notre Dame de la Guerison and the Tower Maquillin within Courmayeur. A truly rustic style house set in the mountains. Traditional interiors have wooden beams and floors, fireplaces, four poster beds, big bath tubs, and lots of floral fabrics. An excellent spa and swimming pool, traditional cuisine, and plenty of mountain fresh air. Romantic and family friendly. Total relaxation - A really rustic retreat with plenty of mountain air and pampering. Spa breaks - A fully equipped spa and pool ideal for total pampering. 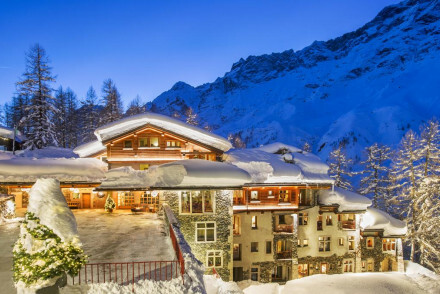 Stunning boutique spa hotel with panoramic views of Gran Paradiso, offering ornate and elegant rooms with balcony views and luxurious bathrooms. The Roman-inspired spa is near-unrivalled in its industry, with both a Finnish and Roman sauna, tepidarium, hydropool and jacuzzi amongst other facilities. Spa breaks - The wellness centre has a hydropool, jacuzzi, Roman sauna, Finnish sauna, trepidarium and beauty and massage treatments. Fishing - Fish in the waters of Grand Eyvia and Grauson, and the lakes of Lillaz and Aymavilles. A lovely four star collection of chalets, petit chalets, and a few rooms. Cosy interiors - all wood, with fireplaces and fur throws. Excellent spa, restaurant, and chefs on request. A great option for a very comfortable skiing holiday. 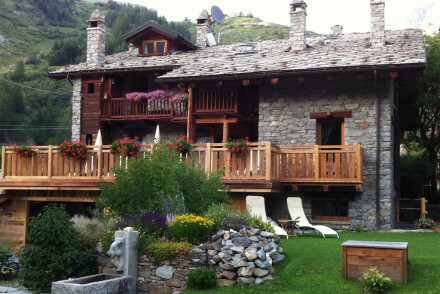 Located in the Gran Paradiso National Park this seemingly traditional chalet exceeds expectations. Enjoying stunning views, state of the art spa and home to a michelin starred restaurant. Rooms utilise local materials with lots of exposed wood, traditional Alpine decor and sumptuous copper baths. Back to Nature - The interior of this hotel reflects the natural beauty of the surrounding nature for you to explore. Sights nearby - A picturesque walk leads to the Lillaz waterfalls which are the most spectacular in the region. Great walks - The Cogne Valley offers numerous walking opportunities including winter Nordic walking. Fishing - Grand Eyvia, Grauson and Urtier have excellent fishing lakes and rivers. 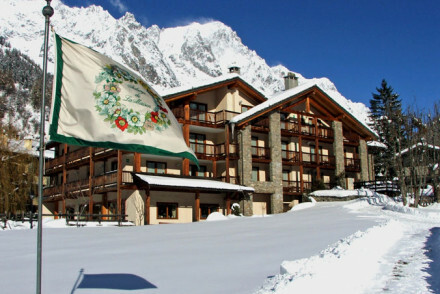 A lovely boutique hotel nestled amongst mountains with views of the Mont Blanc peak. Rooms maintain a traditional Alpine style with wood furniture and balconies. A well known spa, hot tub and two restaurants add to the appeal. Surrounded by gardens and with a good spa. Honeymoons - Come rejuvenate yourselves at the hotel surrounded by beautiful landscapes and therapies available on site. Total relaxation - Stunning scenery, a hot tub, access to the best slopes and an inviting spa promise pure bliss. Charming mountain hotel focusing on wellness and nature. Individual chalet guestrooms in converted barns have original features and antiques. Indoor pool, Turkish bath, yoga classes, Ayurvedic massages. Indoor golf and two cosy restaurants. Bring walking boots, the hiking tours are outstanding. Award-winning 4-star boutique hotel, offering Alpine-styled warm and rustic apartments with stone fireplaces, marble bathrooms and hi-tech kitchens. Boasting a spoiling spa and fabulous regional restaurant. A winter-wonderland just minutes from the ski slopes. Spa breaks - Wellness centre includes an indoor pool, jacuzzi, Turkish Bath, sauna, hydromassage pool, facial treatments and massages. Active Holiday - Very close to ski lifts and the hotel plans heliski rides to the top of untouched mountains. 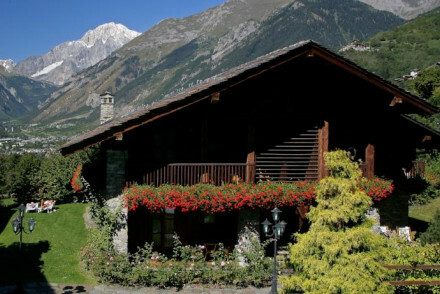 Situated in La Salle, at the foot of Mont Blanc, built in traditional stone and wood, the rooms offer wonderful views of the surrounding mountains. Local produce from its own garden is used in the restaurant. Fireplaces, a heated pool, a jacuzzi and an inviting spa all add to the charm. Romantic Break - Come enjoy the good weather, spectacular views and appreciable service at this hotel with your loved one. 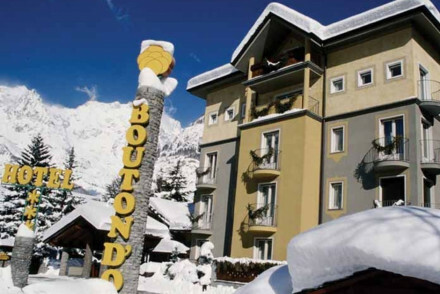 Local exploring - The hotel is in a convenient location close by to the most important ski resorts. Families - Large rooms for families and several outdoor activities to keep the kids busy! Sights nearby - Located in the Valle d'Aosta with Roman monuments, castles and rural architecture to explore. 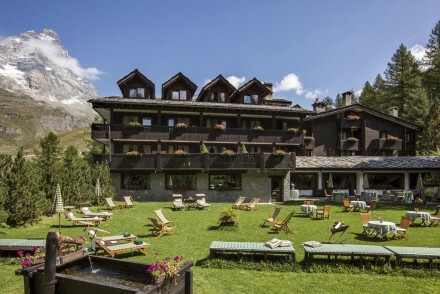 An elegant 5-star hotel at the foot of the Matterhorn, surrounded by ancient larches. Rooms are furnished in dark woods and fine fabrics. Set 6,726 feet above sea level with beautiful panoramic views of the mountains. Ideal for skiers and outdoor enthusiasts. Skiing - Boasting one of the largest ski areas in the Alps, the slopes allow all day skiing without ever repeating the same slope. Spa breaks - The spa includes a hammam, jacuzzi, sauna, gym and a range of massage treatments on offer.